Let’s dive into making our very first web map! 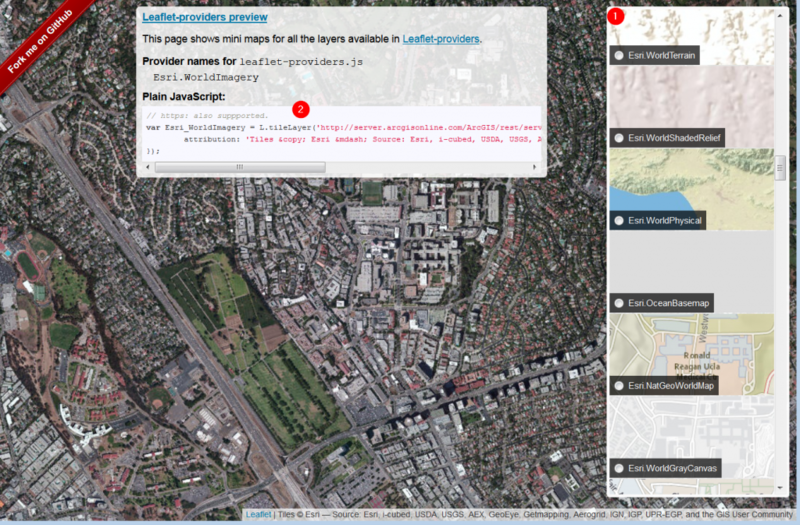 Save your HTML page and you will now see a Leaflet map centered around our location! Say you’d like to change your base map, you can do so by simply replacing Lines 27 to 30 (“L.tileLayer…”)on the previous sample code. But where would you find some sample base maps? Leaflet Providers which gives you both code snippets and examples of what options are available. Delete the current tileLayer and add the new one, while making sure to add it to the map with .addTo(map). Notice that Lines 28 – 30 use ESRI’s satellite base map now; and that’s all there is to change your base map! GeoJSON.io allows us to author web content in various formats that can also be consumed by Leaflet (with the help of jQuery). Visit GeoJSON.io to author some points or load your data into it! Save as a GeoJSON file and move it to the same directory as your HTML webpage. Notice that “url = map.geojson” is the name as the file we just saved. very nice explained. Gives me a good start to handle with leaflet. I’ve always the problem that I don’t know as a beginner where to put all that code, but with offering the whole code in the end I can deal with that problem quite perfectly.